Every piece of art or work we create or do happens through us – not because of us. We, in fact, own nothing – not what we create, not what we buy and not what we cling on to! 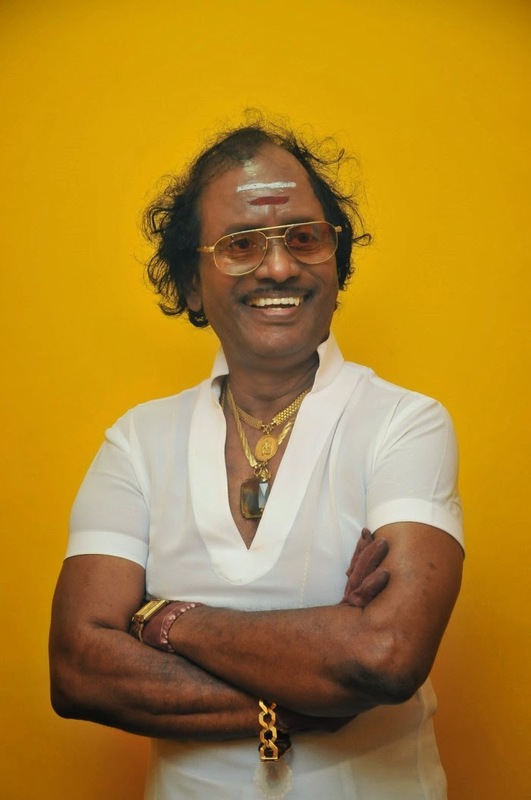 Music maestro Illayaraaja has declared war on several audio labels and FM and TV stations for copyright violations of his classic songs. He says that his songs from the 70s, 80s and 90s were governed by contracts that have since expired. Any usage, he demands, of those songs must be done after entering into fresh contracts with him and after paying him royalties. He says he will share the royalties with film producers, lyricists and singers. In a business context Illayaraaja must be making the right moves and he has every right to protect his intellectual property. So I don’t really wish to comment on what he thinks is right for him and his work. Even so, on a spiritual plane, it is relevant to pause and reflect on whether at all we own anything. After all we came with nothing and will go with nothing. So why this high drama over ownership, intellectual property right and copyright? Why lose sleep over who owns what? Yes, we must protect our interests. We must surely work on monetizing them if we are capable and possess the acumen. But there’s no use really in losing sleep over any of this – especially if legal loopholes have been exploited by opportunists or if people have cheaply plagiarized your work. I am reminded of a beautiful Zen story. A Zen Master lived the simplest kind of Life in a little hut at the foot of a mountain. One evening, while he was away, a thief sneaked into the hut only to find that there was nothing in it to steal. The Zen Master returned early and found the thief in his hut. “You have come a long way to visit me,” he told the prowler, “and you should not return empty-handed. Please take my clothes as a gift.” The thief was bewildered, but he took the clothes nevertheless and ran away. The Master sat naked, watching the moon. “Poor fellow,” he thought to himself, “I wish I could give him this beautiful moon.” In a world full of opportunists and fly-by-night operators and plagiarists – who will go all out to lift ideas, work and opportunities – the Zen Master’s attitude is a good one to cultivate, especially if you value your inner peace. And if you find the Zen Master’s attitude too evolved and therefore removed from your own thinking, perhaps you may just want to consider internalizing what the Bhagavad Gita says. 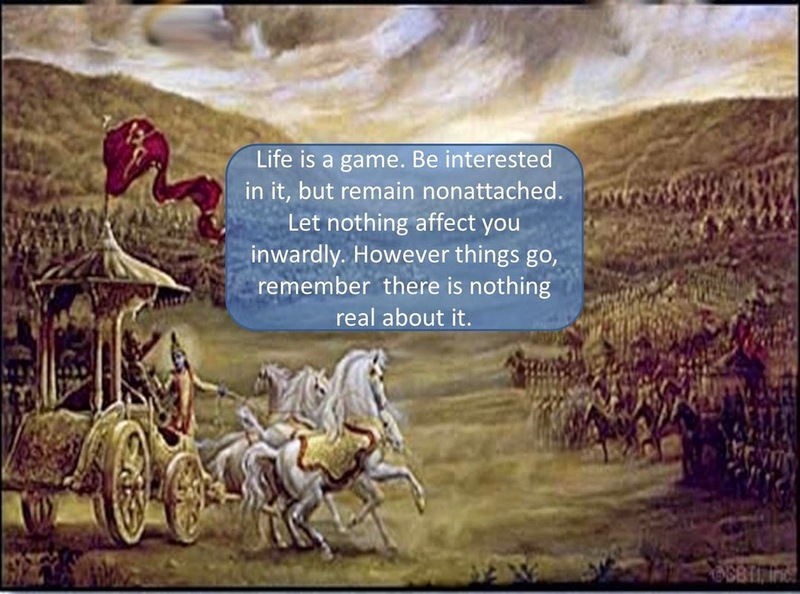 Here’s an extract (maybe not the most authentic but makes sense nevertheless) from the Gita Saram – The Essence of the Bhagavad Gita! Whatever happened, it happened for the good. Whatever is happening, is also happening for the good. Whatever will happen, that too will be for the good. What did you produce, which has perished? You did not bring anything with you when you were born. Whatever you have taken, it is taken from here. Whatever you have given, it is given here. You came empty-handed and you will go the same way. And it will be someone else’s another day. The key to inner peace is to accept this change and live your Life with all humility. Know that you cause nothing – neither your successes, nor your failures. Life simply expresses itself through you. Whatever happens, whatever you create, happens through you and never because of you.